The spectacular artwork in electroformed silver finish demands style. The unique silver elephant with a raised trunk and colored art deacutecor is an apt piece for your home and office. The spectacular artwork in electroformed silver finish demands style. 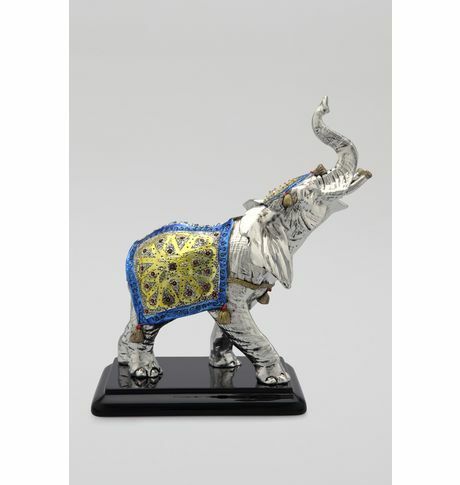 The unique silver elephant with a raised trunk and colored art deacutecor is an apt piece for your home and office. Cancellation and Return Policy: • Exchange allowed post booking • No order cancellation or Refund transaction allowed at the store.